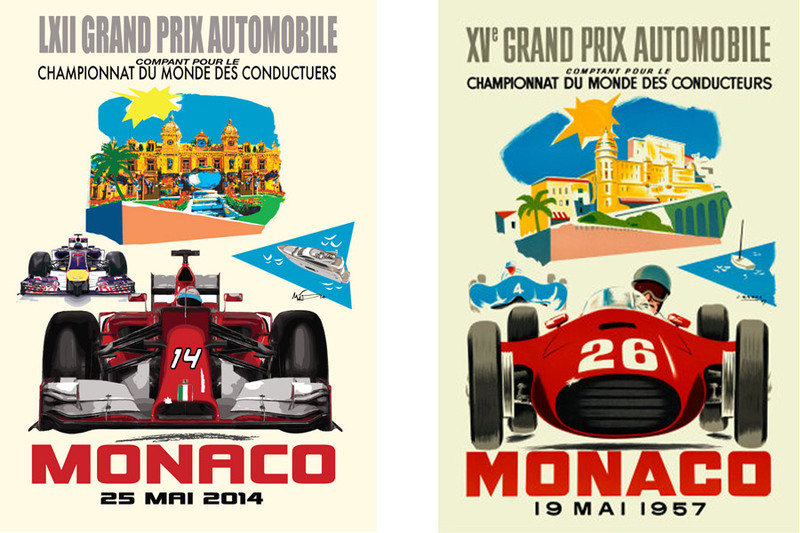 To celebrate the 2014 Monaco Grand Prix we have paid homage to a 1957 Monaco Grand Prix by Geo Ham. 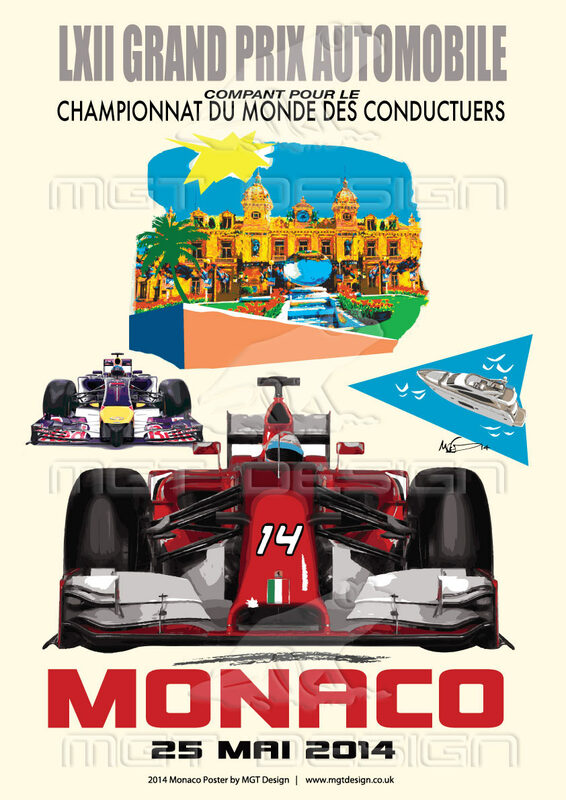 Our new 2014 interpretation has the number 14 Ferrari Formula Car of Fernando Alonso and Red Bull F1 Car of Sebastian Vettel. 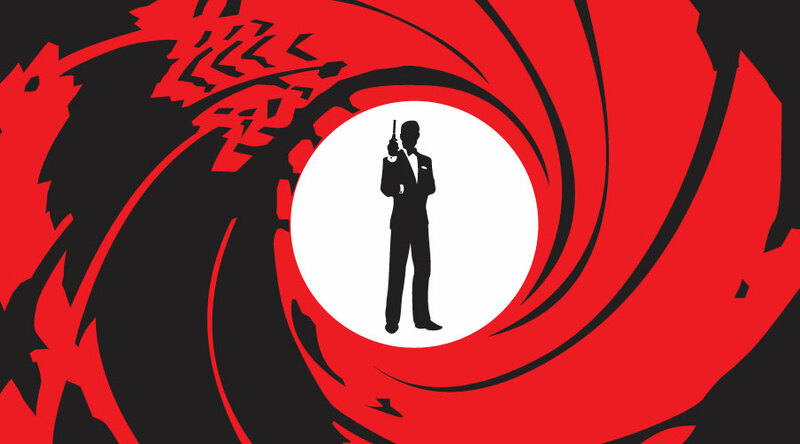 Unfortunately this year we have had to add a watermark on our Monaco poster due to people stealing our artwork and selling on online auction websites. 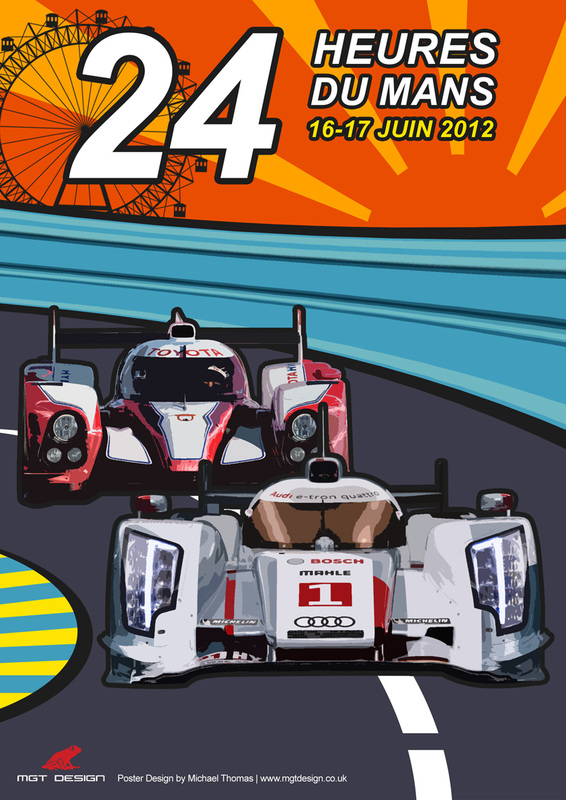 Please contact MGT Design if you would like to Order a print as we have a few options available.